Making the customer’s life easier has always been 2nd Watch’s top priority. As one of the first AWS Partner Network (APN) Consulting Partners, they chose to focus exclusively on the cloud and have been helping enterprises across the globe take advantage of cloud computing since its founding. 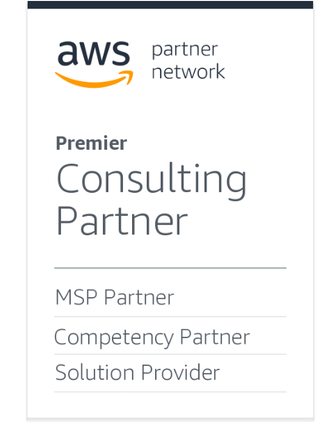 Today, 2nd Watch is an APN Premier Consulting Partner and member of the AWS Managed Services Provider (MSP) Partner Program. They also hold AWS Competencies in DevOps, Migration, Financial Services, and Microsoft Workloads. 2nd Watch is comprised of agile teams of AWS experts focused on providing value to customers throughout the full customer lifecycle on AWS. For the 2nd Watch team, the relationship with the customer is built upon a foundation of trust, transparency, and advocacy. While 2nd Watch built their primary business with the core tenets of a next-generation AWS MSP in mind—such as end-to-end capabilities, security, automation, and developing long-term relationships—the team has evolved their MSP practice based on the evolution of the customer base and requirements. “Our goal as an MSP is to align closely to our customers at every step of the engagement and be able to provide them with a deep understanding of their specific use case, the right tools in the marketplace for their use case that we’ve tested and had confidence in, and ease of mind,” says Aden. Customer feedback played an integral role in 2nd Watch’s initial development of a managed service practice, and continues to influence the direction of the business to this day. In 2nd Watch’s eyes, building a team of highly-trained, enthusiastic individuals is critical for success. “You can have the best technology and automation tools available, but they are meaningless unless you have the best and brightest individuals working on your team,” says Aden. The conversation around enterprise cloud migration has fundamentally shifted from “Should we migrate?” to “How do we migrate?” As enterprises seek to move hundreds or even thousands of instances to the cloud, the guidance and support of a next-generation AWS MSP becomes a fundamental component for initial and ongoing success. In this video, Doug Schneider, CEO at 2nd Watch, discusses the company’s choice to build its business on AWS. Enterprises want to develop, test, and deliver services faster, more consistently, and with continuous governance and compliance, but the internal cultural shift to building a DevOps practice that will enable customers to meet these goals after migrating to the cloud can be a hurdle. Automation tooling is a critical aspect of the services 2nd Watch provides their professional and managed service customers. 2nd Watch also provides visibility into environments and usage and prioritizes ongoing optimization of customers’ environments on AWS. The more 2nd Watch is able to help customers drive and remediate optimization, the more opportunity and resources they find customers gain to invest in new areas of innovation. “Over this past year, we saved customers $35 million from optimization and remediation that can be used to fund additional projects,” says Aden. 2nd Watch helped Yamaha migrate to AWS and continually optimizes their AWS environment, saving the company $500,000 annually. Established in 1960 as Yamaha International Corporation, Yamaha Corporation of America (YCA) offers a full line of musical instruments and audio/visual products to the U.S. market. YCA is a wholly-owned subsidiary of the Japanese Yamaha Corporation and is one of the largest global subsidiary companies. Yamaha had been managing all of their applications and infrastructure internally with one data center in Buena Park, Calif. This was used primarily as a backup facility, and all production, test, and development systems were running in a co-location arrangement at an AT&T-hosted data center in Irvine, Calif.
With 30-month replacement cycles for their leased hardware, the Yamaha IT infrastructure group was spending too much time replacing hardware and handling routine maintenance tasks like patching Windows servers. After deciding to migrate to the AWS Cloud, Yamaha selected 2nd Watch to assist with the migration. 2nd Watch was able to meet Yamaha’s rapid timing for migrating to AWS, manage Yamaha’s environments, and provide ongoing optimization and planning services. “We’ve worked with 2nd Watch side by side on our journey to the cloud. They’re always the consummate professionals, and they fit our culture very well,” says Vimal Thomas, VP of the Information Technology Division at Yamaha. We’re proud to have built a robust MSP Partner Program that includes vetted next-generation AWS MSPs like 2nd Watch. No matter where you’re located, what your focus is, or where you’re at along the cloud adoption journey, there’s an AWS MSP that can help you drive transformational business outcomes. Are you ready to explore the AWS MSP Partner community? Check out the AWS MSP Partner Program and begin exploring Managed Service Providers that may be a good fit for you. 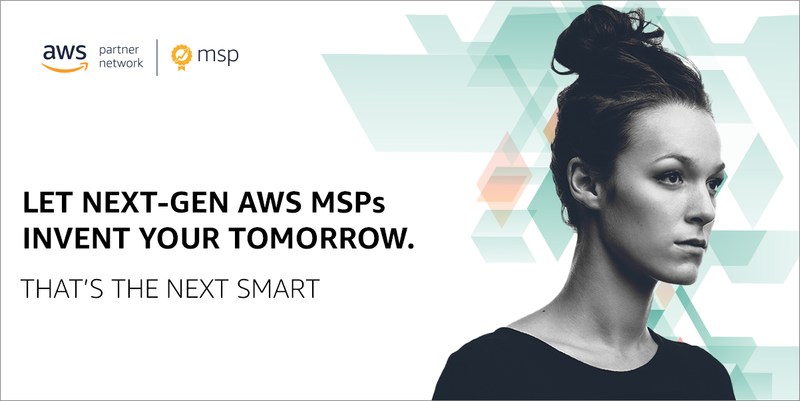 Build on AWS … with the help of a next-generation AWS MSP Partner! 2nd Watch is an AWS Managed Service Provider. They help facilitate the multidimensional change and process of continuous improvement the cloud brings across an organization. With 2nd Watch’s tested, proven, and trusted solutions, you can fully leverage the cloud to achieve your goals, with minimal complexity.